Motorcycle shipping to New Zealand is highly procedural. There are a number of steps that need to be carried out, and strict regulations have to be adhered to in order for everything to go through without any problems arising. One factor that often gets overlooked, or not given the thorough attention that is required, is the process of preparing the motorcycle for exportation. The common misconception is that a quick five minute ‘detailing’ with a cloth and some soapy water is a sufficient approach to ensuring that the motorcycle passes cleanliness legislations. In reality, though, if you are going to ship a motorcycle then it needs to be as clean as a bike would be, were you to have just purchased it from a showroom – why is this? Vehicle cleanliness is not something that can be taken lightly, and this is due to the risk of diseases being brought into the country. People are unaware that dirt and plant matter can carry all sorts of diseases, such as foot and mouth disease. An outbreak of such a disease could have a devastating impact on a country, and so the level of stringency towards the cleanliness of your motorcycle is understandable. The New Zealand Quarantine Department will go over your vehicle with a fine toothcomb when it arrives, so anything other than a thorough steam cleaning simply will not do. Specific attention needs to be paid to the wheels, engine area and underside. If your vehicle is found to be below the cleanliness standards once it arrives in New Zealand then it will be required to undergo a thorough cleaning process at a MAF (Ministry of Agriculture and Forestry) approved decontamination facility. This is very costly, and you will also face a fine for not cleaning the motorcycle properly in the first place. Given the inflexible attitude that New Zealand has towards vehicle hygiene, it makes sense to get your motorcycle professionally cleaned by an approved company. Most companies who deal with exportation offer a cleaning service as part of an export package. You will be spoilt for choice when it comes to choosing a company for motorcycle shipping to New Zealand. There are a lot of companies out there. Even though they all offer a similar service, they all have their nuances, and prices can differ greatly. Firstly you need to decide whether you want the bike to be shipped in a door-to-door capacity, whereby a shipping company picks your bike up from your home or a designated place, and drops it off at a specific locale, or whether you want to go with the less expensive terminal-to-terminal option, whereby you take your motorcycle to the airport yourself, and pick it up from the airport at the other end. Whilst the former option is the more expensive of the two, it is more convenient. Next it is necessary to choose how you want your motorcycle to be shipped. There are three options here. One option is to have the vehicle transported using open truck shipment, whereby your motorcycle is moved by a vehicle carrier. The problem with this is that whilst it is cheap, your motorcycle will be uncovered during the trip. This carries the risk of your motorcycle failing quarantine checks at the other end, making it the cheapest yet least desirable option. You can also choose to have the vehicle shipped using enclosed transport. This involves your bike being placed inside a container where it is less exposed to the elements. The wisest choice though, is to go for a crated freight service. With this service your shipping company will place your motorcycle into a purpose-built crate that provides total protection against both damage and contamination. If you want to avoid any risk of hassle at the other end, then a crated freight service is the only real option. As mentioned earlier, it is important to shop around for a company before committing yourself to anyone. With the amount of companies out there and the amount of different services they offer, prices can vary by as much as 60% for the same service. Always keep in mind the old adage though: if something seems too good to be true then it probably is. If a company’s pricing seems a lot cheaper than the other quotes you receive, then it could well be because they are unreliable, in which case you risk the security of your motorcycle. You will want to make sure that everything goes according to plan when motorcycle shipping to New Zealand. 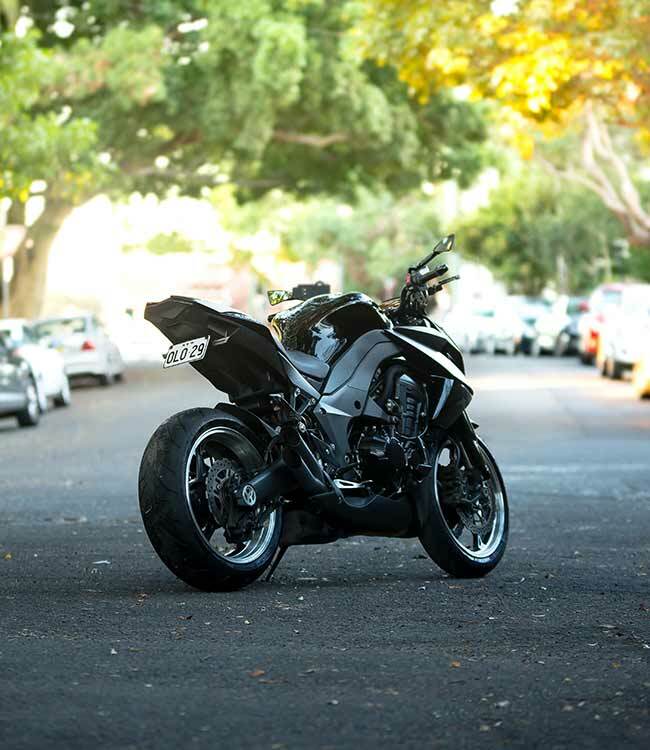 There are certain things that need to be considered to make sure that all risk is negated and that your motorcycle arrives safely, in the same condition as when it left, and without there being any hiccups. An important thing to take into consideration is that you must give yourself, and the shipping company, plenty of advance notice. It can take as long as three weeks for the whole process to be arranged, so don’t go leaving it until the last minute. Realistically you need to start contacting shipping companies at least a month before your planned date for exporting your motorcycle, otherwise you risk running into difficulties. It is also essential that you get the signature of the driver who collects your vehicle. This will serve as proof that the vehicle was collected, and gives you cover if anything goes wrong. If your vehicle goes missing or is damaged in transit, then it is essential that you have every bit of documentation as proof that the shipping company received the vehicle. Without valid evidence as recourse, there can be costly ramifications. Do not include any motorcycle accessories, parts or any other peripheral products as part of the shipment. Vehicle shipping companies get paid to transport your motorcycle, and only your motorcycle, and are not accountable for anything that does not qualify as being your motorcycle. If anything goes missing or gets broken, then there is very little you can do about it. When your motorcycle arrives at its destination then it is of the utmost importance that you check it straight away. Inspect it for any signs of damage, and ensure that the person/persons responsible for your vehicle remain with you until you are sufficiently happy that your motorcycle is as it should be. If they aren’t present then there is always a risk that the company can say that damage occurred once the motorcycle was out of their responsibility. If there is any damage to your vehicle then this needs to be noted on your inspection report, which then has to be signed by the person delivering your motorcycle. If there are any problems then you need to notify the shipping company immediately, so that the problem can be noted and resolved without delay. Damage very rarely occurs, especially if you have chosen a reputable company, but it is still essential that you thoroughly check your motorcycle.